On an earnings yesterday, Tesla CEO Elon Musk finally responded to “some fairly crazy” Model S Autopilot videos that show reckless idiots pushing the feature beyond where it’s supposed to go. He isn’t pleased. According to Musk, “This is not good.” What an understatement! 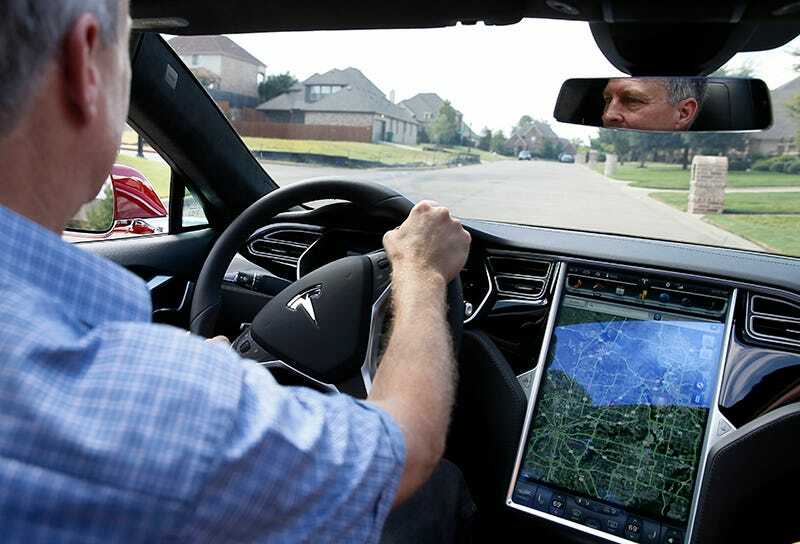 He suggested that by adding some constraints to the Autopilot mode Tesla can better “minimize the possibility of people doing crazy things.” Still for its part, Musk claimed that based on Tesla’s early data, the new system prevented some crashes. Roughly 40,000 Model S cars currently have the Autopilot mode available to them, but it’s only a beta release. “The system will learn over time and get better and that’s exactly what it’s doing. It will start to feel quite refined within a couple of months,” says Musk. Musk says that we can expect to be able to make an “in-app purchase” for the newly constrained Autopilot for £2,500, or $3,800 US. To be extra safe, Tesla suggests that drivers keep their hands on the wheel even when enabling Autopilot as a backup to its automatic steering. Looking forward, Musk addressed the rapidly increasing R&D being funneled into self-driving technologies, saying that in 15 to 20 years, all cars will be fully autonomous. As for Tesla, they say “it will be a lot sooner than that.” But for now, please god people, keep your hands on the wheel and drive slow.